Varkala has now emerged as a hot spot destination of Kerala. Being in Varkala is very momentous for tourists who intend to spend time leisurely in the beaches of Kerala. Varkala, is a perfect place for those who like to holiday in a calm and serene atmosphere. 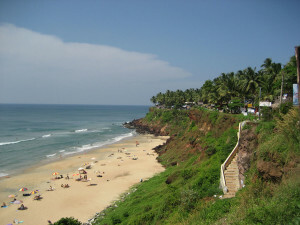 Varkala is a seaside tourist resort and spa. A small town 55km north of Thiruvananthapuram, it is also an important religious place for the Hindus. Varkala is a place where the hills are located close to the sea. There are many natural fishers and springs that are located in the town and this has become a favored tourist destination. The Papanasam Beach at Varkala is a quiet, secluded beach known for its white, silvery stretch of sand, mineral springs and rocky cliffs. 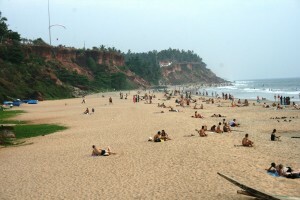 Varkala is also an important Hindu centre of pilgrimage. It is the final resting place of Sree Narayana Guru, the great social reformer of Kerala, is near Varkala atop a hill named Sivagiri. High cliffs from mineral springs majestically rise is a scene typical of Varkala. There is a nature cure centre adjacent to the beach. Climate in Varkala : In the south of India it’s never really cool, but pleasantly warm in winter. After the ‘cool’ season temperatures begin to rise in February and by April it’s unbearable. 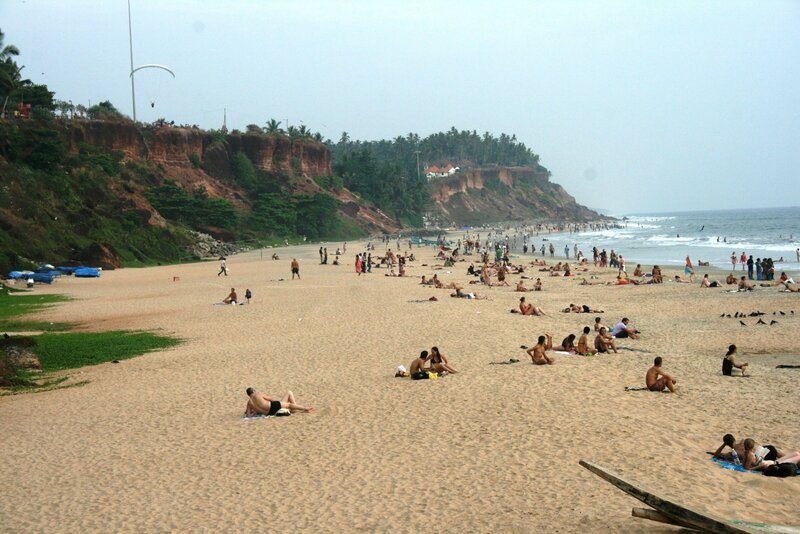 Papanasam Beach : Varkala beach is the best spot along Kerala coast for watching sunset. The sight of the sun sinking into the sea would stimulate your poetic sense. Kappil Lake: is a less-explored, quiet and scenic spot, ideal for a relaxing cruise enjoying the captivating beauty of the landscape. The surrounding area is draped in lush greenery including numerous coconut grooves. As a stepping stone towards tapping into the vast tourism potential of the area, a boat club has been recently built here. 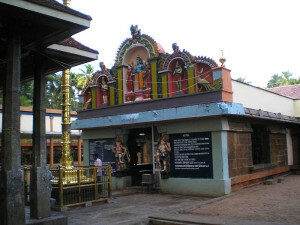 Sree Janardhana Swamy Temple : Varkala also houses a leading pilgrim centre in Kerala. The 800-year old Janardhana temple, dedicated to Ayyappan and Hanuman, atop the hill has brought a sobriquet for the region, Southern Kasi (Benares). Non-Hindus are not permitted to enter the inner sanctum but can hang around the temple. Nature Cure Center : Situated near the Varkala beach, this is an excellent destination for relaxation and rejuvenation of the body. 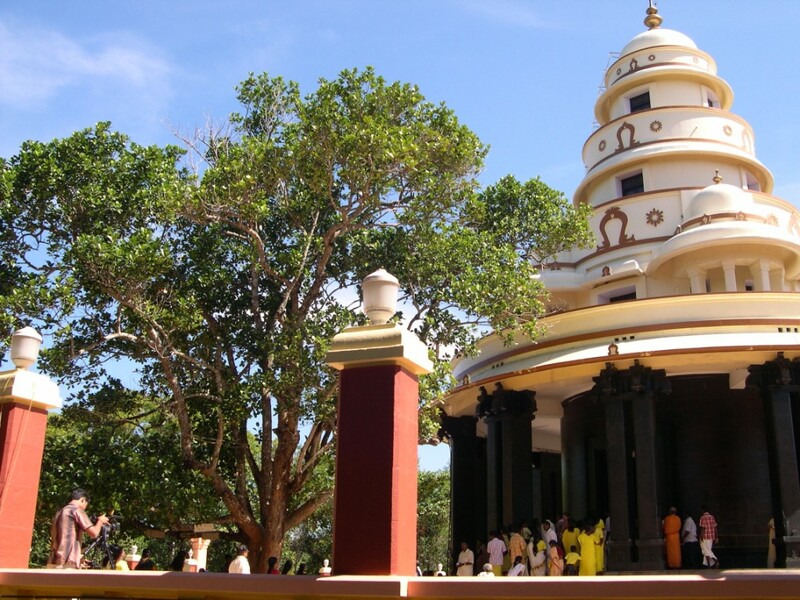 Sivagiri Mutt : The Sivagiri Mutt – a religious site was founded by Sree Narayana Guru (1856 – 1928) the renowned philosopher and social reformer of modern Kerala. The Sivagiri Mutt is also the headquarters of the Sree Narayana Dharma Paripalana Sangham, a religious organization established by the Guru to propagate his concept of ‘One Caste, One Religion, One God’. The ‘Sivagiri Pilgrimage’ is usually conducted between 30th December and 1st January every year. 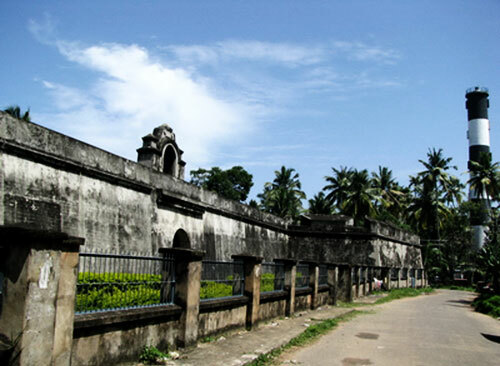 Anjengo Fort : Anjengo Fort was a stronghold bastion of the British in the coastal belt of Kerala. Built in the 17th century, the remnants of the old English fort and its cemetery are now protected national heritage monuments. The earliest sepulcher in the cemetery dates back to 1704 AD. Varkala Tunnel : It is a popular tourist highlight. It was a 924 ft long tunnel built in 1867 by T. Mahadeva Rao the Dewan of Travancore, and took 14 years to complete. Kaduvayil Thangal Dargah : It is another place of pilgrimage that houses the shrine of a famous local Muslim saint. By Rail: The nearest railway station is at Varkala town, 3 kms from the beach. There is direct connects from major towns in the states as ell as neighbouring states. By Road: Varkala is 51 km away from Thiruvananthapuram and 37 km away from Kollam. Buses ply regularly between Thirvananthapuram and Kollam.